I was reminded this Sunday morning of the grace in the words of Dr. Joe Dispenza. During an early morning walk I selected a random offering on YouTube; an interview excerpt by a woman named Marie Benard of Dispenza. The question centered around how long it takes for someone to get results when they use meditation as a tool to create their reality. Dispenza, a neuroscientist, responded in his usual, astute, down to earth way. In essence he said, it depends on the person and how long they keep certain chemicals moving through their bodily system that hold acute emotions in one’s immediate experience, not allowing for them to move on through, the longer it will take for them to manifest the reality they desire. He detailed how we “memorize” particular emotions, bound to repeat them in an endless pattern until we recognize them and consciously break free, liberating us from self-binding chains. Once one allows joy into their life without tying it to an unrelated perception, like the acquisition of something, then that’s when the experiences we desire, we wish for, we intend begin to find you, because you have opened up the energetic space for them to manifest by clearing the old way(s) of thinking. JD first came into my experience sometime shortly after my mom’s transition on 5/26/2009. Immediately after her passing, I began to experience moments of synchronicity and connection new to my innerstanding of how the world worked. Such experiences catapulted me into discovering more about this alternate world so I could better grasp what was happening to me. One puzzle piece came in the form of Dispenza’s “Create My Day” mantra that he shared in the movie, What The Bleep Do We Know?! I wrote it down and repeated it daily. It wasn’t long before I saw actual results manifesting into my day! That’s when I knew there was something legitimate to this whole Law of Attraction stuff, a concept no more than touched on in the movie of the same name. The producers of that movie did the viewer an injustice by introducing the idea without sharing how to achieve it; a mere carrot dangling in front of the willing centaur, without keys to the kingdom that lie beneath the presented theory. 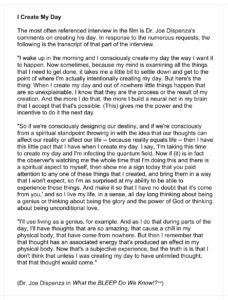 I’ve shared below Benard’s YouTube interview, as well as the Create My Day excerpt from What the Bleep… You will also find an image of the Create My Day segment you can click on to enlarge and print/bookmark for your personal use, as well as a text version if you wish to share, or copy/paste to begin your own journey of exploration into the realm of self-creation. 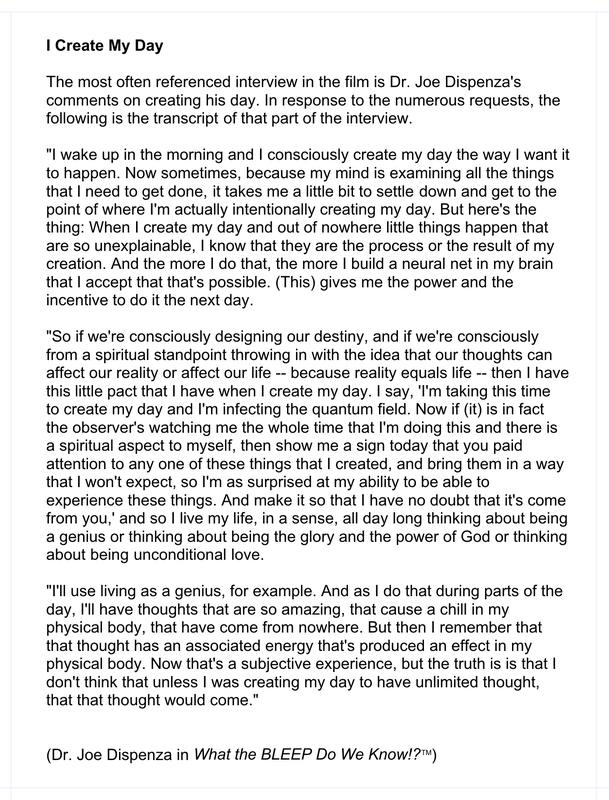 Dr Joe Dispenza: Create My Day | What The Bleep Do We Know?! 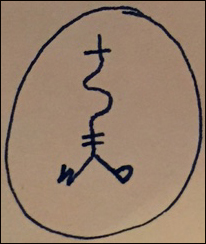 I highly recommend anyone interested in further exploration Google Joe Dispenza and open yourself up to the amazing world where science meets spiritual creation, the type of which I speak of often in this blog. He is a “go to” person for me, and one I revisit whenever I need a boost, or am looking to further expand my human mind. Now go forth! Create Your Day!